With students from over 140 different countries, academic staff staff of 50 different nationalities, and links to several universities worldwide, the University of Exeter offers a truly international, cosmopolitan student experience, as well as a safe learning environment in one of the most beautiful parts of the UK. The University’s strong reputation (it has consistently been ranked among the top 15 universities in the UK) and its outstanding student satisfaction results are just two of the factors which motivate overseas students to come to Exeter. 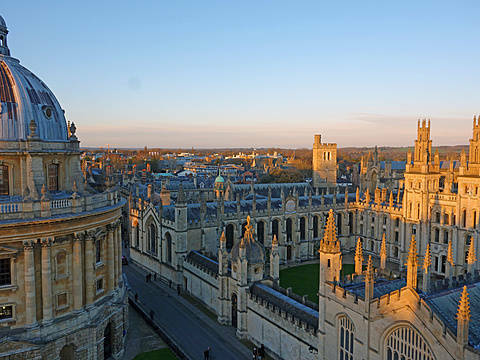 In addition, the University's location in the South West of England offers access to some of the most beautiful cities, towns and villages in the UK, as well as to wild, rolling countryside, a rugged coastline and sandy beaches. This is a selection of study programmes at the University of Exeter. Additional listings will be added shortly. The University of Exeter belongs to the top 150 universities in the world and the top 100 universities in Europe.